“I would like thank and recognize the enormous effort, determination and perseverance of the Bosnian-Canadian community in bringing about this achievement today for Canada. 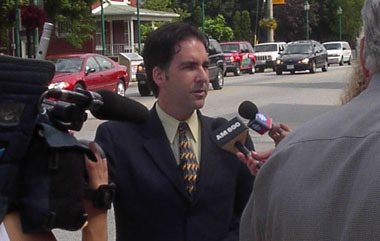 This result in due to the endeavours of thousands of Bosnian-Canadians across the country lead by Emir Ramic, President of the Congress of North American Bosniaks-Canada and Director of Institute of Genocide, Imam Dr. Zijad Delic, Zeljko Milicevic, Chair of Justice for Bosnia Task Force, Senad Alicehajic, President of the Bosnian Club of Windsor, Leila Handanovic, Dina Bajric, and countless others. With this motion, the House of Commons joins Canada with many other countries in doing something that should have been done long ago,” Masse stated.